You can adapt this sambal recipe to your taste, adding or taking away ingredients. This suggestion will keep in the fridge for up to 1 month, and is great on the side of dishes or used for cooking prawns, noodles or anything! Heat the oil in a frying pan at medium heat and add the paste. Warning!! Wear gloves when you handle chillies! Taste the best Indonesian sambal during our street food tour! Loving your sambals don’t you!? 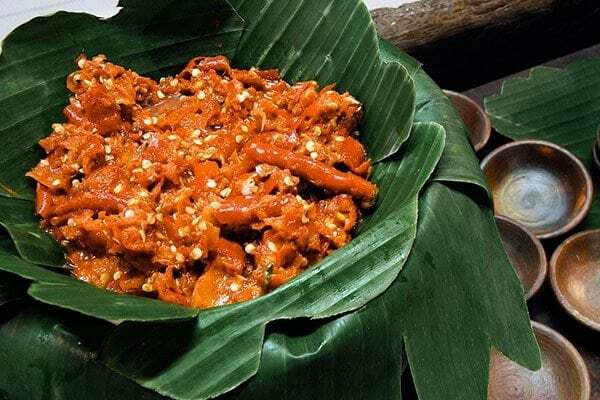 Next time when you are in Bali, join one of our delicious food tours Bali to make sure you get a great taste of all the different sambals that this country has to offer. !